Assuming your idea of a new Corvette isn't just one with Louis Chevrolet's face all over it, GM's performance brand is adding a ton of tiny tweaks for 2012 including a new ZR1 High Performance Package and Performance Traction Management for the Z06. A post from a dealer on Corvette Forum covers most of the bases. While the cars will remain the same, the options will continue to shuffle like the steam trays at a Golden Corral. Most of the tweaks involve wheel swaps, but there a few worth noting. 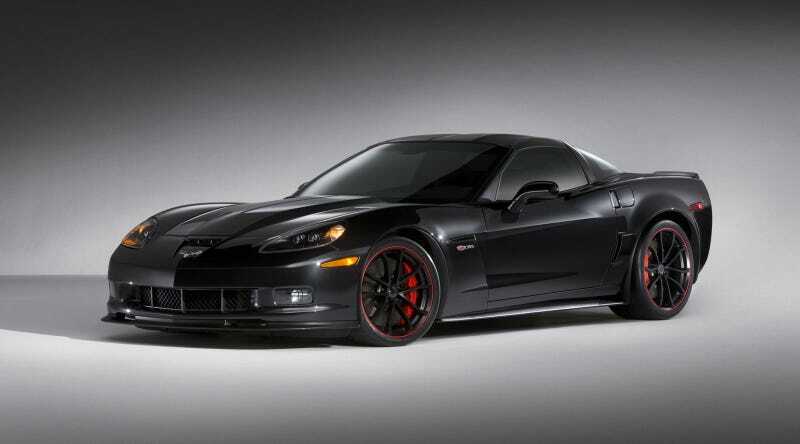 First, for ZR1 owners who want to spend just a touch more the High Performance Package get black Cup-style wheels, Michelin PS Cup tires and the 6-speed close ratio transmission. Corvette Z06 owners who want to make their 'Vette more ZR1-like can add the formerly ZR1-only performance traction management to go along with Magnetic Selective Ride Control, Brembo Carbon Ceramic brakes and the Cup tires if they check the box marked Z07. Commemorates Chevrolet's 100thanniversary. Available on 3LT, 4LT, 3LZ and 3ZR. Includes (58U) CarbonFlash Metallic exterior color, special Chevrolet Centennial Black wheels (specific to model) with special center cap logos, Satin Black graphics, Magnetic Selective Ride Control, Red brake calipers, special badging, Ebony seating surfaces with suede accents and Red stitching, Custom Leather wrapped instrument panel and doors (except 3LT), seat embossment, steering wheel badge and special interior trim plate.